I’m so excited and I just can’t hide it, Little Red in the City is here! Little Red is the latest book from Ysolda Teague and it is amazing. Not only does it have 7 fantastic sweater patterns in it, it also has a lot of great information about sweater knitting and fit. 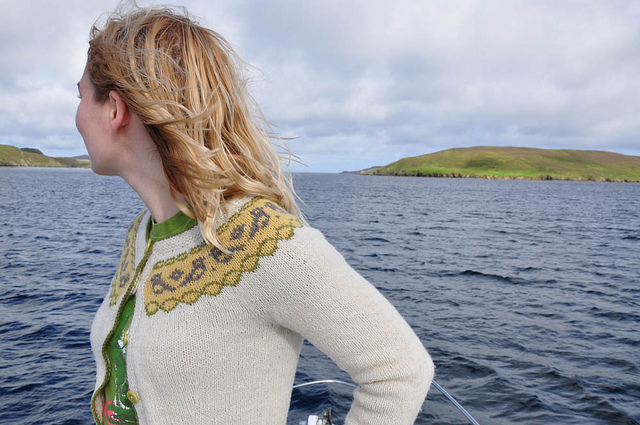 It’s crushing to knit a whole sweater and have it fit poorly, but Ysolda has some great tips on how to avoid this knitastrophe. One of the other nice features of this book is the sizing. 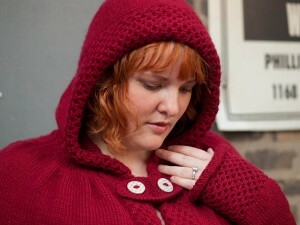 Many sweater patterns are for 1 or 2 sizes but these patterns go up to some larger sizes, a nice feature if you need it! The real question is which one to knit first! I’m loving all 7 really but I’m a sucker for a fair isle yoke and birdies so I think Chickadee has to be my fave. Just a reminder that we are all working on an Ysolda Teague KAL (knit along) so if you are feeling bold cast on for one of these great sweaters for the finish late in September! This entry was posted on Tuesday, August 9th, 2011 at 2:29 pm	and is filed under Uncategorized. You can follow any responses to this entry through the RSS 2.0 feed. Both comments and pings are currently closed.